We’ve curated some of our holiday designs to help you get inspired by 3D cards, gift holders and displays that connect businesses to people in delightful new ways. 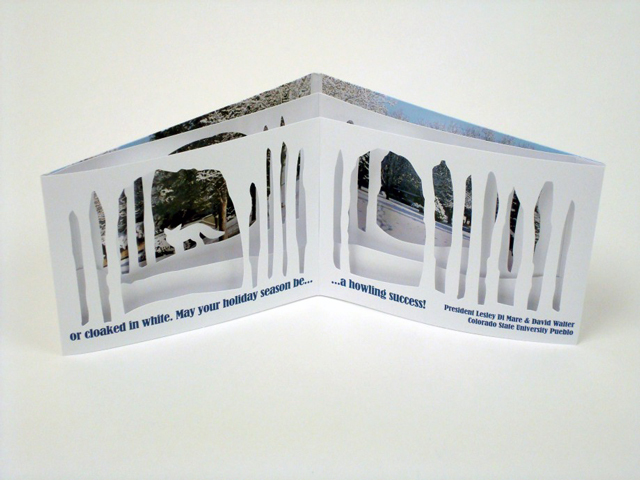 Die cut designs and pop-ups add new dimension to professional season’s greetings. 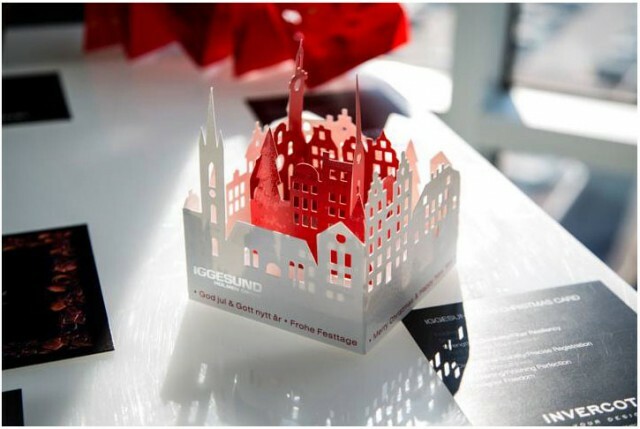 Iggesund Paperboard, a Swedish manufacturer of high quality virgin fibre paperboard wanted to send holiday greetings to its clients AND show off it’s unique paper product. Structural Graphics designed an intricate die cut paper sculpture of Stockholm’s old town, Gamla Stan using Invercote paper produced by the brand. The design mails flat and pops up when opened. It was accompanied by an envelope partially decorated with glitter varnish. Colorado State University – Pueblo wanted to add dimension to their holiday card. Using artwork provided by the university, we created an interactive keepsake that integrated seamlessly into the school’s existing branding. 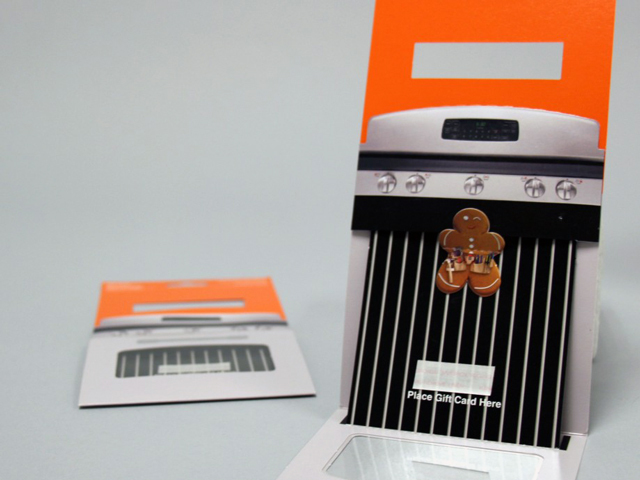 Our team put together a unique gift card holder for Home Depot that features one of the Christmas season’s most iconic images: the gingerbread man. The interactive design features a mylar window showing the inside of the oven. When you open the paper flap a gingerbread man pops out wearing a tool belt. To make room for holiday messaging and graphics, we designed an Extendo gift card holder for Victoria’s Secret. The design features pull tabs on each side that triple the size of the piece and reveal hidden, handwritten messaging from the gift giver. 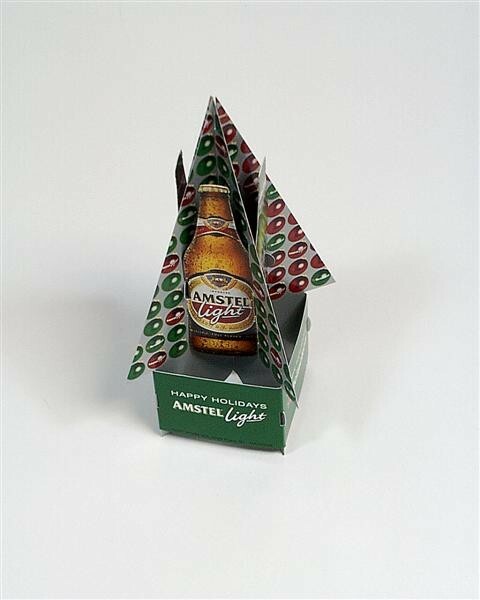 We engineered a festive tabletop marketing piece for Dutch beer brand, Amstel Light. It features 3D graphics of the product and a fold-out, dimensional Christmas tree in honor of the holidays. The puzzle piece calendar is an interactive and fully dimensional promotional piece that can be more intriguing than standard calendar designs. 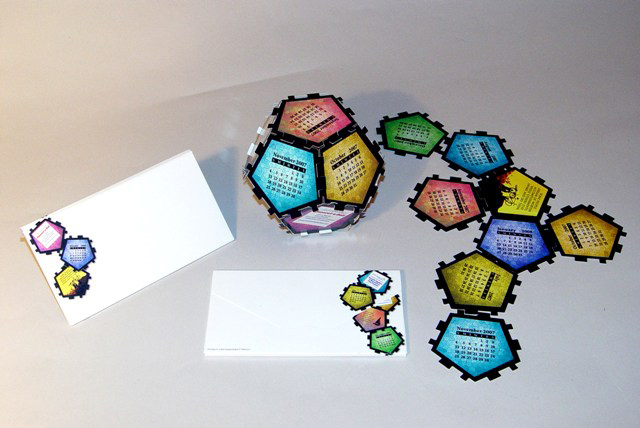 The puzzle pieces can be mailed and then constructed into a calendar by the recipient. We put together special paper cookie boxes for guests at the Inn at Little Washington. The boxes were exact replicas of the Inn and concealed treats with a magnet clasp closure built into the design. Whether your brand is product driven or idea inspiring, we love creating new and surprising ways to help you communicate with your audience. Want more holiday promotion ideas? Contact us.